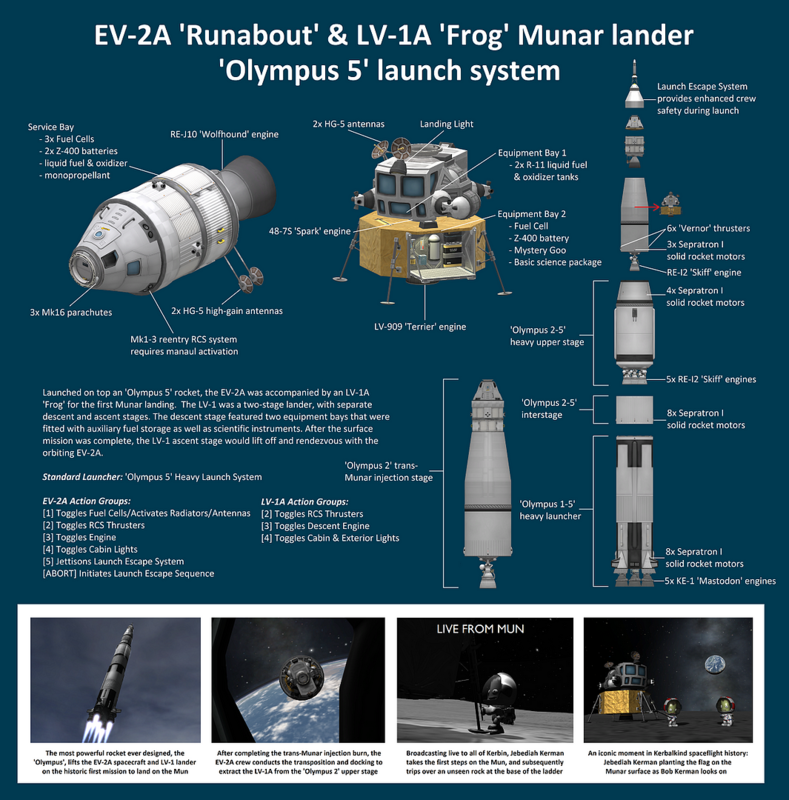 Launched on top an ‘Olympus 5’ rocket, the EV-2A was accompanied by an LV-1A ‘Frog’ for the first Munar landing. The LV-1 was a two-stage lander, with separate descent and ascent stages. The descent stage featured two equipment bays that were fitted with auxiliary fuel storage as well as scientific instruments. After the surface mission was complete, the LV-1 ascent stage would lift off and rendezvous with the orbiting EV-2A.